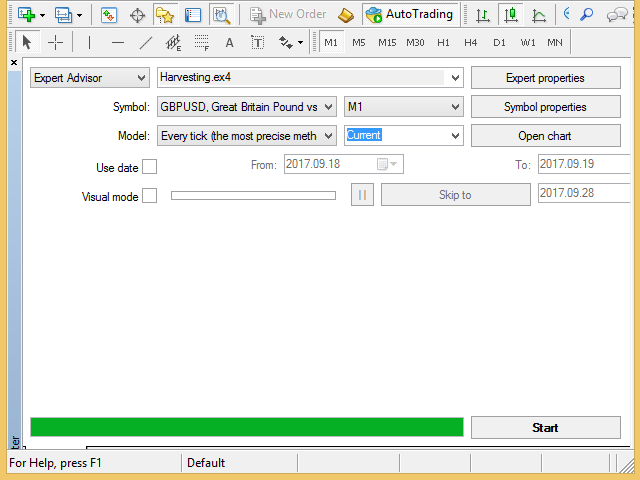 Harvesting is an Expert Advisor (EA) that works by sending orders automatically based on the best positions it detected. 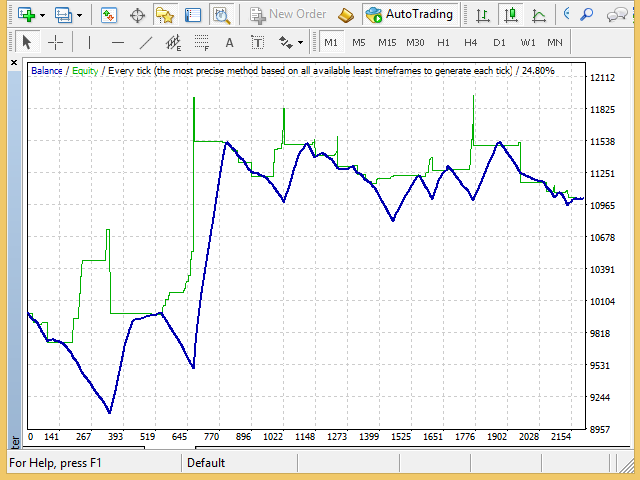 This EA also sets Stop loss value that can dynamically change following the price, when the order moves to more profit. And this EA cannot be run on its own, traders need to take part in monitoring and taking action to close all profitable orders, as in harvesting. 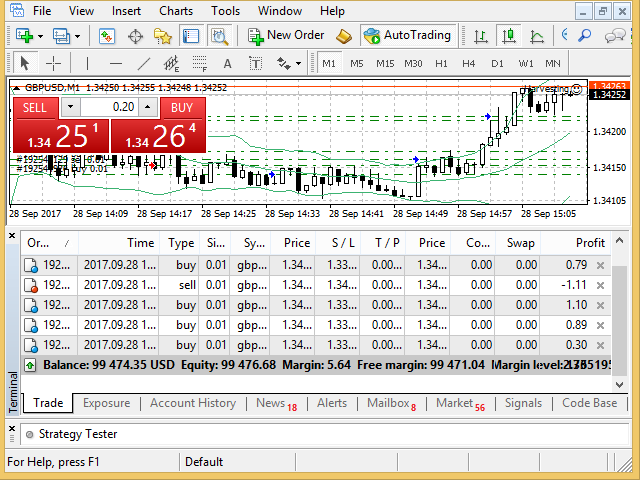 This EA tested on GPBUSD pair and M1 timeframe as in screenshots. Therefore Harvesting could be used in other pairs and timeframes. The recommended balance for use this EA is more than $10000. MagicNumber. The number for identify orders by this EA. If this EA run with multiple pairs, every pairs must be run with different magic number, exp GBPUSD 100001, EURUSD 200002, AUDUSD 300003. CloseAtStop. The option to close or not all orders at Remove EA action. OrderLots. Lots value that used by this EA. i.e OrderLots=0.01, 0.02, 0.04, 0.08, etc. StopLoss. 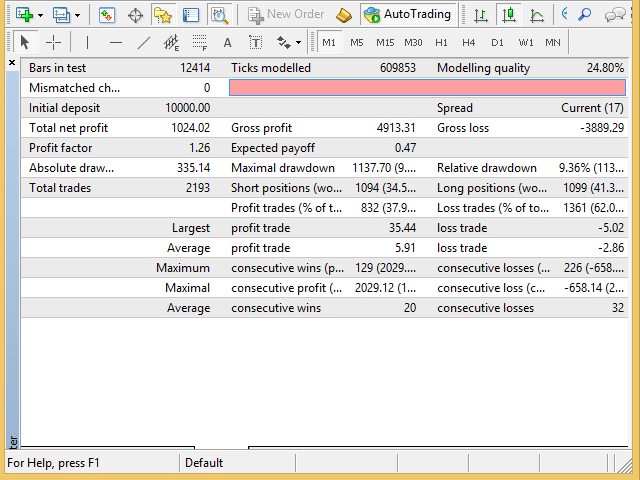 The stop loss value in pips unit. TakeProfit. The target profit value. Although take profit is set, traders are recommended to manually close orders already in profit.